From who shot JR, to who shot Phil Mitchell, some of the great questions of TV soaps and dramas seem to reoccur from time to time. If you’re experiencing Digital TV reception problems you could be left waiting for the answers a little longer than everybody else. Cliffhangers caused by reception problems are annoying, frustrating and can leave you shouting at the “Box”. However, many reception problems have simple causes and can also be fixed equally simply. Here’s the low-down and how to avoid some of those unscheduled dramatic moments. One of the most common problems that lies behind poor digital TV reception is simply badly connected cables. These may have been connected badly in the first place, or have worked themselves loose during rigorous dusting sessions. Before checking or disconnecting the cables switch the power off to set-top boxes and TVs to ensure safety. With this done, check all and every connection between the box, the TV and any connections at the wall; simply unplugging and plugging in again often resolves the issues. Next up on the suspect list can be other equipment in the house. Some light switches or other electrical devices can cause interference. This is less common but still happens frequently. Try checking the TV with any suspects turned off; if interference is noticed when switching on a particular light fitting, avoid using this during your viewing hours. Other offenders are fridge freezers, try switching these off and viewing the results. If you’ve had reception problems since the dawn of digital time then it could simply be that your TV aerial is pointing in the wrong direction. Check with neighbours to see how they fare and if their reception is crystal clear this is the most likely cause. If you have an internal aerial (on the TV or in the loft) this should be simple enough to test out. If it’s a rooftop aerial, then a call to a TV aerial installer is worthwhile. They should also be able to double check connections to the aerial and the TV and set-top box. Another great dramatic device common in soaps is a disappearance of a character (usually for legal reasons beyond the production companies control). This can also, frustratingly, happen to TV channels. Usually it’s the result of updates on the part of the UK’s digital services and is relatively easy to resolve. As these updates are fairly frequent it can make sense to update your settings on a regular basis, three or six month intervals are a good idea. To reset your channels you’ll need to perform a full retune; this normally can be done using nothing more complicated than your remote control, and should only take a few minutes. If you can no longer locate the manual for your equipment a quick Google of the model should find the information you need to retune the set. In most cases at some point in the process you’ll be asked if you want to ‘delete all channels’. Don’t panic; this just means the retune will remove the old channel information and replace it with the new. The retune also involves a reboot of the set top box, which in itself can often fix any technical problems with the set. If the simple steps to uninterrupted viewing above don’t resolve the problems then a new Freeview aerial installation may be in order. Installers can be found around the UK who can do the job simply, quickly and cost-effectively. They’ll also be able to identify the best position for your aerial to maximise the signal, even in poor reception areas, while also advise on how many channels you should receive (some services come via relay transmitters and these don’t offer as many channels). 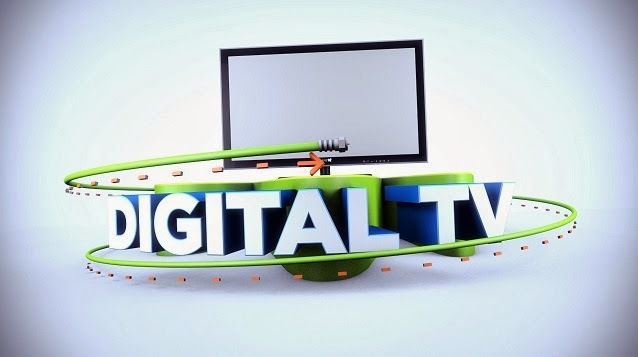 Although digital TV is now available across the UK, occasional scheduled work by the providers or work on main TV transmitters can interrupt our viewing; these are advertised on the digital providers and the BBC’s website (for transmitter work). Poor weather can, on occasion, also present some problems; this is unfortunately unavoidable (especially in the UK) but normally only lasts for relatively short periods. Catch up TV services available online can help to solve those unanswered questions in this case! Sam Mulder is a freelance writer who dislikes being interrupted by unscheduled breaks in his TV viewing. He recommends some simple steps to avoid them.